As a true music man, Billy Lefler wears many hats in the studio, from talented engineer and mixer to respected songwriter to accomplished multi-instrumentalist. His passion and creativity for new sounds have led to collaborations with artists from around the world. Billy enjoyed his first Grammy nomination for mixing Margaret Cho’s American Myth as Best Comedy Album. Lefler is currently about to go in the studio with Carly Rose. She is a singer/songwriter from Southern California. Most recently, Lefler produced Juno-nominee Peter Katz’s album We Are The Reckoning and Matthew Mayfield’s Wild Eyes. He produced and mixed Laura Jansen’s album Bells which went platinum in her native country, The Netherlands. Lefler’s additional production credits include Cary Brothers’ Under Control, Royal Wood’s Burning Bright, Dotan’s Dream Parade, Tyrone Well’s Where We Meet and the single, “It’s So Easy” by Plain White T’s, among others. 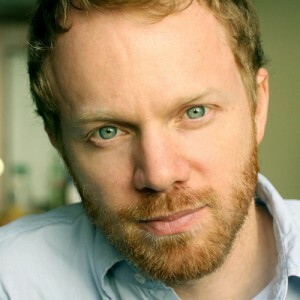 As a producer and mixer, Lefler worked on Kyler England’s Electric Hum, as well as the singles “In Her Eyes” by Josh Radin and Dashboard Confessional’s “Alter the Ending (Acoustic Version).” With Stacy Jones, Lefler co-produced Meg & Dia’s Something Real album and “Be Ok” by Ingrid Michaelson. After co-producing Gym Class Heroes’ The Quilt, Lefler collaborated with Patrick Stump to co-produce his first solo album Soul Punk. Songs that he has produced have been featured in numerous national commercials, including McDonald’s, Walmart, JCPenney, Virgin Mobile and Littlewoods (UK), among others. With more than 100 placements in episodes of popular television series, such as “Pretty Little Liars,” “Vampire Diaries,” “Parenthood,” “Finding Carter” and “Royal Pains,” Lefler’s productions have also been featured in the films Life as We Know It and The House Bunny. Additionally, he served as composer for the reality series “Mix It Up” from executive producers Courteney Cox and David Arquette.